You are here: Home > Tutorials > SEO & Marketing > How to Deal with Google Panda and Penguin Updates? Search engines experience numerous updates every time, mostly SEO (search engine optimization) updates. 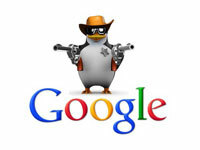 In the recent past Google has introduced advanced updates which include Google Panda and Penguin. The updates are meant to improve quality of the sites displayed on the searches. Every update will focus on eliminating irrelevant sites and information from high search engine ranking. These have left some of Google users seem not to understand the difference between Google Panda and Penguin updates. Here is a detailed explanation of what they are and where they come from as well as how to deal with them. These are updates which are meant to reduce search rankings of sites whose quality is perceived to be low. Since the sites are categorized according to the benefits they have on site visitors, Google will rank their quality according to the content in the site as well as the integrity of the information offered by the site. Sites considered to be of low quality include those containing copied content from other sites. The information in the site is also considered low quality if the visitors find no relevant details as they seek. Panda updates are meant to penalize sites which are neither spam nor quality sites. The use of similar article with key words, in many pages of different sites will be penalized by these updates. The sites which copy the contents from other sites and publish on their sides are also greatly affected by Panda updates. They will be penalized and thus won’t out-rank the original publisher. Panda updates were released at different times which include: February 2013 which was referred to as farmer’s update. This was followed by updates year after year. There have been a total of 27 updates, each increasing the number of penalizing sites. It may be described as an update by Google which focus on eliminating spam on the sites. It is designed in the form of an algorithm which will target the information on sites which are considered copied or irrelevant. Spam includes overused words on a site which are considered keywords. The backlinks which lead to confusing sites are also regarded as spams. Although search engine optimization is meant to increase ranking on the major search engines, there is a high possibility that the excessive use of words and links will be recognized by Penguin as spam. This will lead to penalties which come as low ranking on searches. Panda updates are an algorithm program which will automatically remove anything that they consider as spam. The algorithm will look at the key elements in the site and classify them. In case the site is affected, the best thing to do is to contact the service provider who will help in troubleshooting. After identifying the affected areas, the owner should repair their site and wait for the next Panda update which may take a month or more. There is a tendency of contacting Google for reconsideration. The effectiveness of reconsideration is minimal since the judgment is done by artificial intelligence. 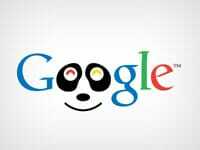 The content affected by Panda update should be removed or blocked from Google ranking to avoid further effects. The site owner should also ensure that the information provided in their site is beneficial and specific. Over-generalization should be avoided as it will be recognized as irrelevant to Google community. Penguin updates will lead to low ranking of the site affected. This will decrease traffic on the site during this period. Before the penalty is imposed on the site there must be high cases of either copy content or spam. Google may send a warning to the owner about the spam or irrelevant information on their site. This is done by Email from their official sender. The user should check for the email many times to avoid being caught unaware. The site owner should avoid use of direct coped key words from other sites to avoid Penguin penalties. This includes aggressive keyword match, overuse of exact key words. The site owner should avoid the use of low quality articles on their sites and blogs. This includes less informative articles as well as misguiding facts on their articles. It will be irrelevant to misplace articles just for the sake of keyword ranking since the users will not visit the site again or they leave negative comments on the site. If these key areas are avoided, the wrath of Google updates may be avoided. The user should avoid excessive use of key word links in their articles and web blogs. This is always a bother to many visitors since they will be expected to read something informative before selecting the links. To know more you can visit wiki pages of Panda & Penguin.